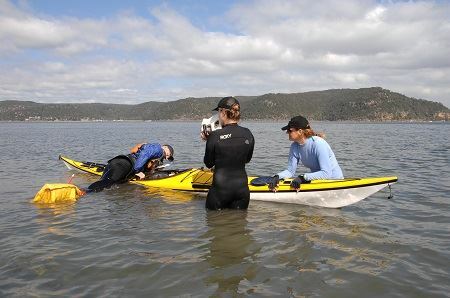 The New South Wales Sea Kayak Club is a registered National Training Provider for Paddle Australia, the peak National body for kayaking. We train and assess skills for Club members at all levels from sea skills and up in line with Paddle Australia standards. 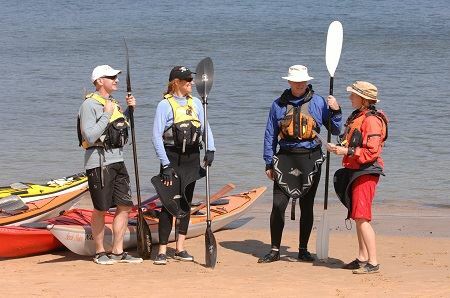 If you are new to paddling we also provide training about basic safety and paddling technique. We encourage all members to achieve confidence at the Club grade 2 level and to take advantage of further training and experience on paddles to advance to Sea Skills. Not only does skills development increase your confidence and the scope of your paddling activities, it improves safety and puts you in touch with a wider range of paddlers within the Club. Assessments for various Paddle Australia Qualifications are run from time to time and generally advertised well in advance to paddlers who have expressed interest. If you are keen to work on Sea Skills or a Leader qualification, have a chat to either the Training Coordinator or one of the Club Instructors. Policy Guidelines and Standard Operating Procedures. This document outlines our guidelines for management of activities, communications, boat and equipment requirements, training and qualifications and risk management guidelines.